The GPA High Intermediate/Advanced class is proud to highlight one of our most dedicated students, Xiomara Gomez. Originally from the capital city of El Salvador, San Salvador, Xiomara has been living here for 7 years. In El Salvador, Xiomara was happy and she loved the Costa del Sol beach especially, but she decided to come to the United States to be with her father, who had already been living here for some time. She has a few other relatives living in the US as well. She works with her father for their moving company. Xiomara has two children, and when she’s not completely wrapped up in that, she enjoys reading or going to dance bachata! Her favorite food is white bean soup with vegetables, because her grandmother used to make it. Xiomara is very motivated and has enjoyed a number of trips and activities since moving to the US. She has been to New York, Texas and Pennsylvania, and of course has explored all around the Boston! We are so glad to have her as a part of our class. Rosana Soma started studying English at the Gardner school two years ago. When she started studying, she could not speak English very well although she could understand many things. She wanted to improve her English so that she could get a job and help her son with his homework. Now Rosana speaks and writes well in English. She frequently helps her son with his homework. She reads novels in English and uses English in many areas of her life, including medical appointments, parent-teacher conferences and when she does part-time work. Her confidence in her English has grown tremendously, and she intends to keep studying! Adriana Nunes is from Brazil. She lives with her brother and his family in Allston. Adriana is a dedicated student who wants to learn English because she knows it is necessary in the U.S. for everything–making doctor appointments, going shopping, paying bills, and watching movies. She admits, though, that some English grammar is difficult, especially the past tense of verbs. Adriana is a fan of movies. One of her favorites is The Ultimate Gift, which she recommended to her class. Maria Alvarado is from El Salvador. Her native language is Spanish. She lives in Allston. Maria is married. She has a small family. Maria is a mother and grandmother. She has one daughter in Allston, and two children in Toronto, Canada. Maria’s job is cooking and cleaning. In her free time, Maria likes dancing, singing, and aerobic exercise. She likes to use the computer, listen to music, and study English. She is a good student. Martina Medina is from Guatemala. She lives in Brighton. She has lived in the United States for 16 years. Martina works and English class helps her. She likes English class and will come next year. Manuel Che lives in Brighton with his family. 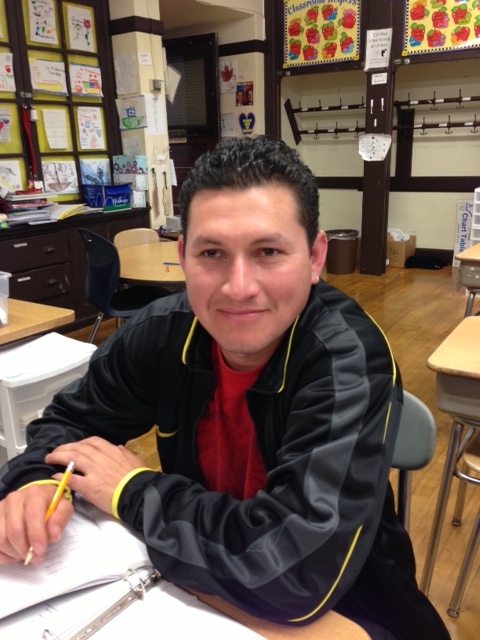 He came to Boston twelve years ago from Guatemala. He is friendly and quiet. He likes learning new words and spending time outside. Franklin Winklaar is a student in the English program. 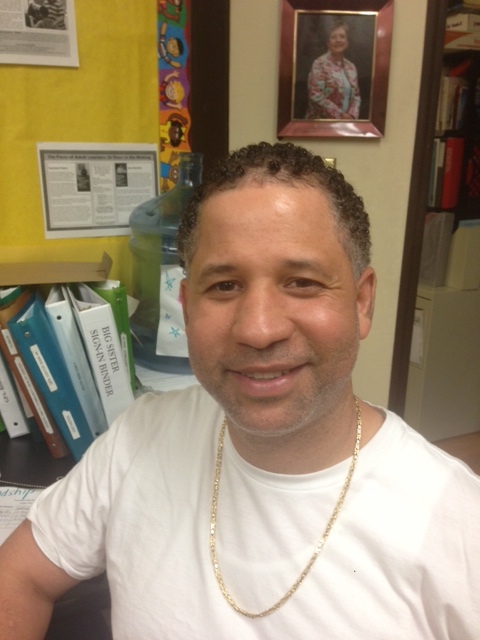 He is from the Dominican Republic, and he has lived in Boston for approximately ten years. He has two barbershops in Boston, and he works hard at developing and improving his businesses. He uses English every day at work. In his free time, he enjoys playing with his kids, playing sports, enjoying the good weather outdoors, and studying to improve his English. 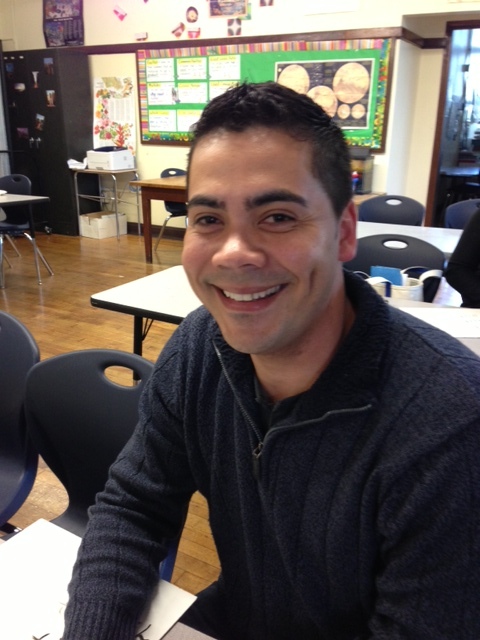 Valtecir Oliveira is a student in the Advanced ESOL class at GPA. He has been taking English here for 3 years. Valtecir hails from Brazil. He was born in Cuite Velho, but grew up in Cataca. He moved to the United States in 2005. His friend used to live here in Boston, so Valtecir moved straight to blustery New England from the warm tropics of Brazil. His first impression was that everything was different but of course he thought the city was beautiful! Valtecir is a busy guy. Besides working and studying hard, he enjoys going to the gym, riding his bike, playing soccer and traveling. Since moving to Boston, he has waited in long lines at Six Flags New England, experienced the rustic camping scene of Maine, immersed himself in the hubbub of New York City, and the quaint coastal life of Cape Cod and Nantucket, where he celebrated the 4th of July. He has also supported both the Boston Celtics and his national futebol team at Gillette, and has seen U2 and Pink Floyd in concert! Valtecir likes to live life to the fullest! His dream for the future is to travel around the world, meet new people and cultures and visit famous places. We are lucky at GPA to have great students like Valtecir! A vida não é uma meta. É um caminho.